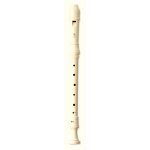 ABS recorders are durable and easy to care for while providing a tone similar to that of natural wood. Many schools throughout the world insist on Yamaha recorders thanks to their accurate intonation, easy playability, and rich expressive sound. Yamaha YRS24B recorder. 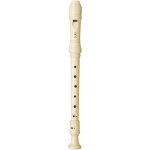 The Recorder schools insist on. Descant C three piece, ABS resin.